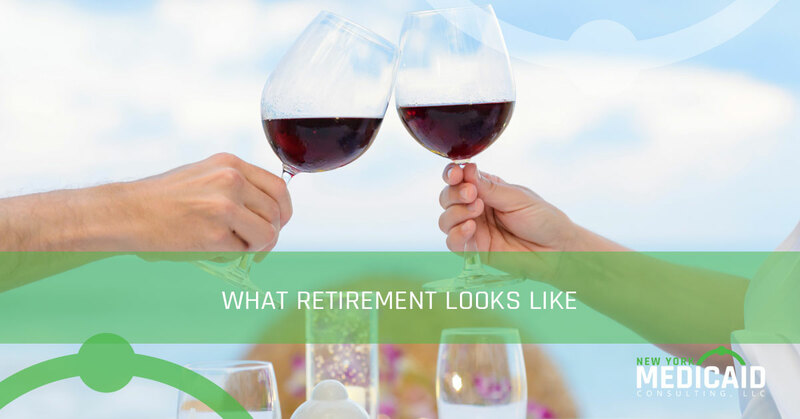 What retirees say about retirement may surprise you. It is one thing to sit at your desk at the office and daydream about all the wonderful things you will do when you retire, but it’s a whole new ballgame asking those who are already living the life of a retiree. New York Medicaid Consulting offers what retirees say retirement is really like. The working population often speculates that retirement could lead to a boring life. It makes sense. You spend 40 plus hours a week at work, probably a few hours a week on your morning and evening commute. Add that up and you spend a lot of time devoted to work. Then, suddenly, you’re retired and can sleep in seven days a week and have two-hour lunches every day. Heck, we know people who get bored when they take a day off to visit the dentist or doctor. Just what do retirees do with all of that free time? Not only do many retirees say they are never bored, some of them even claim there still aren’t enough hours in a day to accomplish everything they desire. And this comes from men and women who have been retired for 20 years. Even then, there are retirees who have to live with the fact they cannot do everything they want to do. Many retirees decided it would be in their best interest to downsize as a way to save some money, and they are happy about their decision. These retirees have accepted the difference between wants and needs. They have embraced a way of life that is simpler, much easier to manage and produces less stress for them. Downsizing, many retirees have found out, gives them more time to enjoy their newfound freedom. It makes sense, keeping up chores in a big house takes a lot of time and energy. So you make a choice of spending your days vacuuming the house, cleaning the kitchen floor. mowing the lawn, trimming the hedges or going out and doing things you enjoy. Spending all day at home with your spouse can be challenging according to many retirees. As we all know, absence makes the heart grow fonder, but you can really get sick and tired of seeing the same person every day, all day long, even if he is your husband of 45 years. Retired couples need to learn that alone time is needed for both parties. Of course, some couples will need more “me” time than others. But in taking personal time away from the other, getting along is much easier. One thing a lot of retirees say about retirement is that it hasn’t gone as planned. Many retirees sat down before they retired and planned it all out, but they say things rarely go as planned. They say it’s not necessary a bad thing, it’s just a little surprising that you have a vision on how things will be when you retire, work to achieve those visions and have them fall through in ways you don’t expect. You might still reach goals, just not the way you had planned. Even if things don’t go as planned when you retire, you will still be glad you spent that time coming up with a plan. According to retirees, being retired takes just as much thought and energy as your career did, so when a plan does work out, it brings true satisfaction and joy. There are two things many retirees worry about the most and that is their health and their money. Other concerns include staying within their budget, fearing their retirement dreams won’t match reality and that goals they made for retirement won’t be met. Recently retired retirees often wonder if they should have waited a little longer to retire. They say that letting go of work is kind of a scary thing. But people who have been retired for awhile are happy they retired when they did. Contact New York Medicaid Consulting if you have questions about our services.